Any visitor to the Coeur d’Alene area will no doubt take note of the magnificent lake that the city borders. 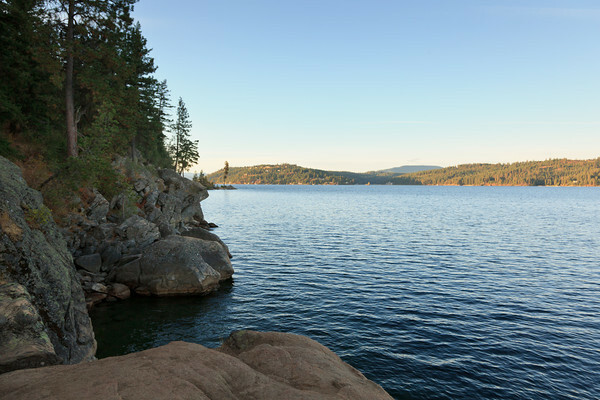 Lake Coeur d’Alene is a popular spot for those vacationing in the area to go swimming, sailing, kayaking, wakeboarding and fishing, but for those who prefer a drier experience, there are alternative ways to experience the lake. Boat cruises on Lake Coeur d’Alene are a fantastic way to take in the remarkable beauty of the northern Idaho landscape from an entirely new vantage point and enjoy a sophisticated experience on your trip. Enjoy a scenic 90 minute cruise on Lake Coeur d’Alene for a special discounted rate. 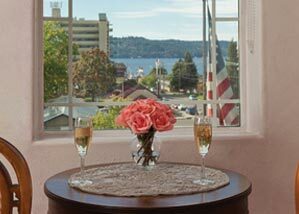 Just book your favorite room at our downtown Coeur d’Alene bed and breakfast and add your tickets at checkout. One night minimum stay required. Many different styles of lake cruise are available through Lake Coeur d’Alene Cruises. Visitors may choose a scenic journey or a sunset dinner; perhaps they may prefer a Brunch cruise or a holiday cruise. Whatever they choose, cruise passengers enjoy a climate controlled environment with a full bar, sound system and picture windows, so they won’t miss a thing. Throughout the year, many different holiday and theme cruises are available. The Christmas cruise, perhaps the most famous of these, has been featured on Good Morning America for its’ unique vantage point of the Coeur d’Alene Resort Holiday Light Show. There is plenty to see and do on a boat cruise across Lake Coeur d’Alene. You might spend your daytime cruise on the deck, spotting wildlife and bird watching with the kids. A sunset dinner cruise might find you and your spouse at a cozy corner table sipping wine and enjoying the stunning romantic backdrop of the Pacific Northwest. On a Holiday cruise, you could start a whole new beloved family tradition. If you have a big family or a business, cruises can even be chartered for an event during your trip. 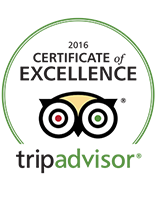 Traveling to the Coeur d’Alene area sometime soon? Reserve your seats on a Lake Coeur d’Alene boat tour today. Public daytime cruises are available, but specialty cruises such as the holiday trips and brunch and dinner offerings fill up quickly. Don’t miss the Build Your Own Bloody Mary Bar during Sunday brunch or the seasonal eagle watching cruises available on the lake during the Winter season. There are many exciting things to see and do in the Coeur d’Alene area, but if you want to experience Lake Coeur d’Alene and nature itself from a truly unique vantage point, take a boat cruise across the lake and see for yourself.